Aliport Commercial were first contacted in June 2013 about this project by a contractor we have done a number of installations for. 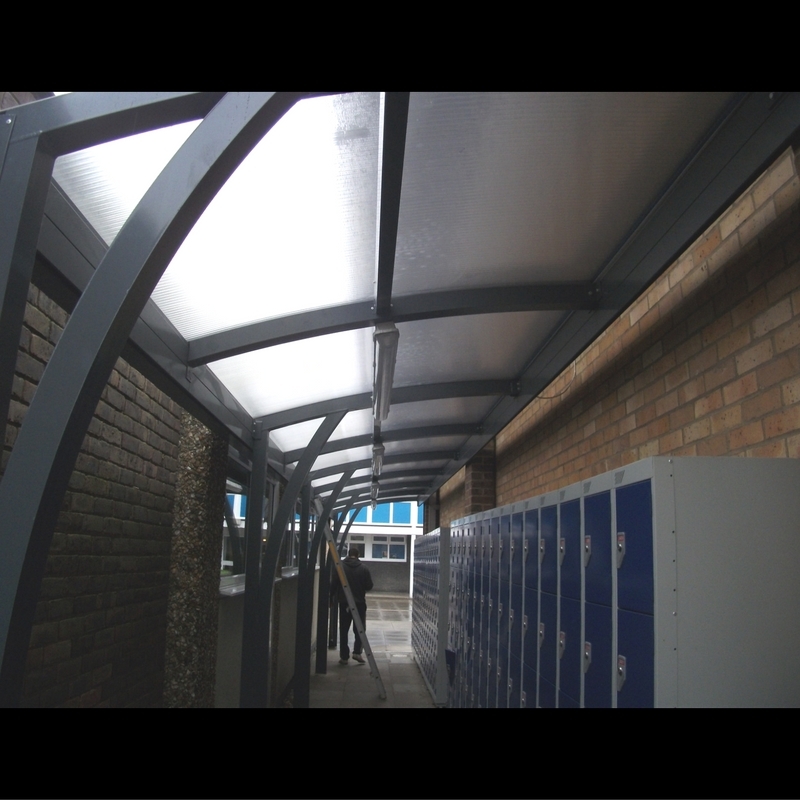 Beth’s Grammar School required Half Curve, Cantilever Canopies to provide shelter for the lockers and locker area that they provide to students. 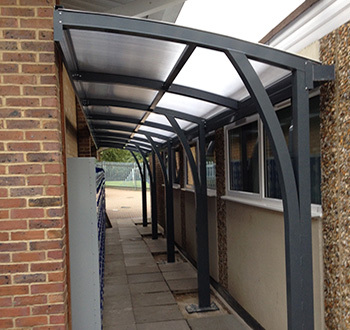 The School requested that the Canopies be powder-coated a dark grey. Aliport Commercial undertook a single site visit to fully understand the project, measure up and produce the designs for the new canopies to be installed. 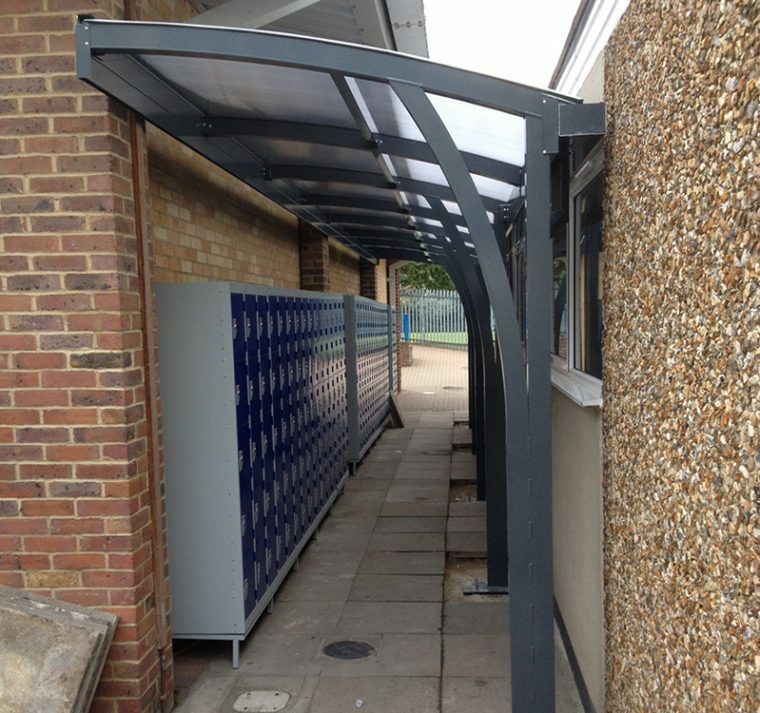 Due to the location and nature on the installation, there was limited space to work within so the canopy installation took careful planning to ensure the amount of available space for installation was optimised for the duration of the project. Aliport Commercial commenced works in September 2013 and over a 2 day duration installed the canopies The Aluminium was powder-coated grey leaving an attractive finish and the canopy was built ensuring access to the lockers and sufficient clearance for access to the windows behind the canopies. 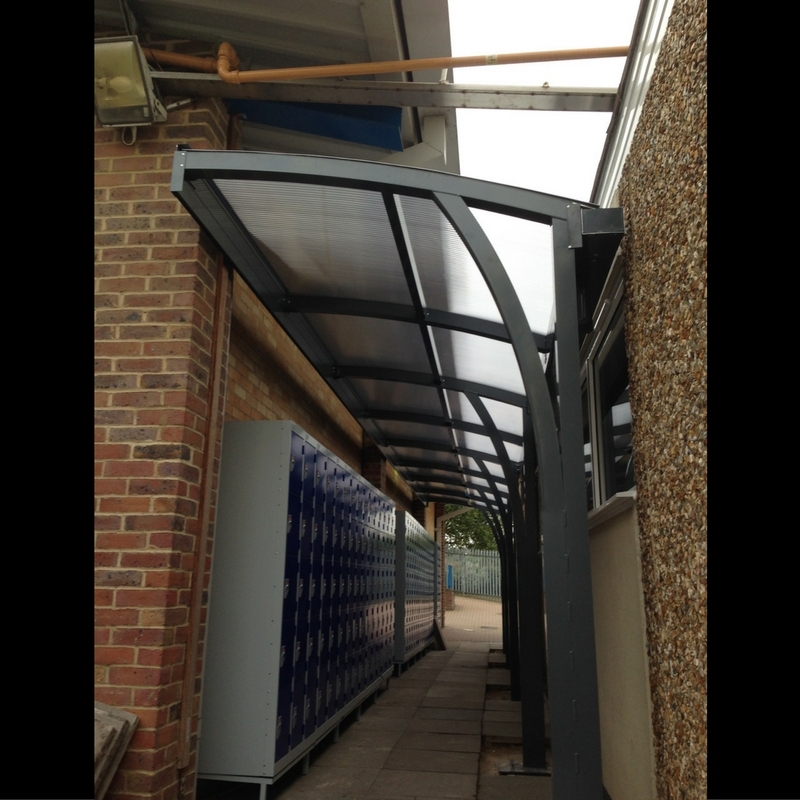 This Half Curve Cantilever Canopy is perfect to provide cover in a small space by limiting the amount of ground intrusions. . .